Simple, sober & delicate, what else? 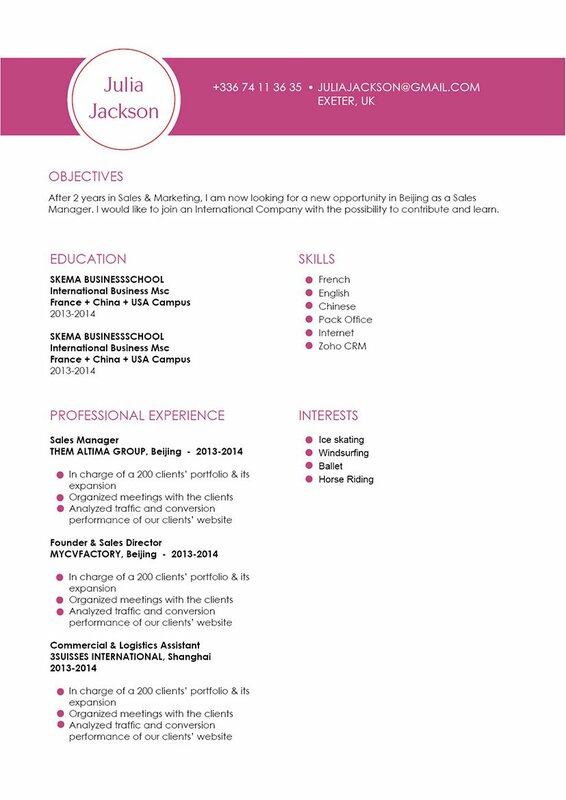 CV template to download "Sensitive"
The Sensitive Resume has a simple and sober design, yet still provides great functionality in presenting all your qualifications! This student CV is applicable to any job type and is especially ideal for applicants that need some extra cash while they're studying. All the key information in this resume like your skills and professional experience are clearly clearly written and the use of bullet points makes them easier to read. 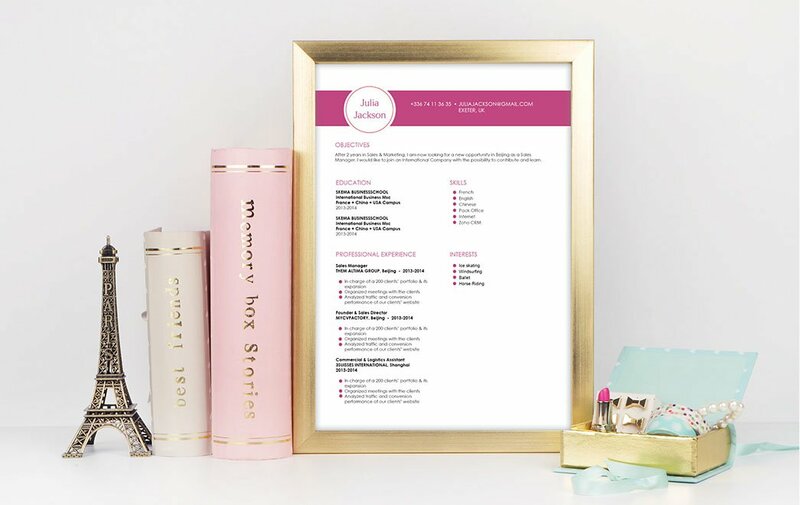 Rest assured this resume template is sure to land you a job! What's a good way to make a more attractive resume? That's simple—all you need is a clean and comprehensive resume design. That resume's functionality is sure to land you that dream job! One of the key factors in creating a more effective resume is its over-all lay out and structure. Most resumes are just reviewed for 10-30 seconds. So it's important that you present all your qualifications in a well-organized manner. To achieve this, use professional looking fonts such as Seriff or Sans Seriff fonts, font size should only be between 11 and 12, and the use of italic/bold font styles will guide the reader's eyes along your resume with ease. The use of bullets and symbols will attract your potential employer to the key parts of your CV, while headings and subheadings can give it a logical format that is easier to follow.